← Social Media – Do you know about the 3rd Dimension? Although the economic situation in the UK continues to put businesses under pressure and make trading conditions difficu lt, the general outlook is encouraging. SMEs are placing themselves in the best possible position to survive and prosper by running a tighter ship, streamlining services and becoming much more customer-focused as they try to retain existing clients. 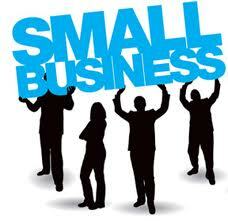 A recent survey indicated the majority of SMEs believe that 2012 will be more buoyant. Consumers still value the attention to detail a small business provides and those SMEs which invest time in their business relationships will encourage loyalty and customer satisfaction. Advances in social media and digital marketing have opened up opportunities for businesses to communicate with their customers and develop relationships. Social media gives businesses a clever route to their customers and a useful insight into their habits..
It’s one of the most cost-effective options for building brand awareness and any information collected can be used to adapt any marketing plans to be more specific to individual customers. Evidence shows SMEs are starting to use social media to manage their reputation and their relationships with customers. Many businesses are reporting decent profits despite the economic downturn and are receiving a steady level of work. Although the financial climate has been tight, with staff and costs being cut, the result has been a more streamlined operation. However, the availability of finance continues to be an on-going concern. For more information about how you, as a business owner or Director, could attend a local Business Exposure Group discussion in either Leeds or Manchester, please visit their website via the above link. This entry was posted in Business, Social Media Marketing and tagged business discussion groups, Business Exposure Group, Business inManchester, social media. Bookmark the permalink.